Have you broken a Level II, V, or MXXVII 4L60E that is supposedly 700 HP capable with 450 HP? Multiple times? Have you ever read a build list for a 4L60E/65/70 and wondered why it sounded like everything in the trans was replaced for a performance build? That is because it’s the wrong unit to use in a big power application. We’re not here to mislead you. We could build and sell a very well built 4L60E that would compete with anybody’s on the market. But there is more demand for 4L80s, so business wise, it makes sense to pursue that market. We specialize in 4L80Es because we KNOW it is the only real option for REAL power with reliability. Other builders are afraid to cut into their sales and tell you this. We’re not. We just want to be sure you get the strongest option available at the best price the first time. If this makes sense to you, take a look at our 4L80E options below. 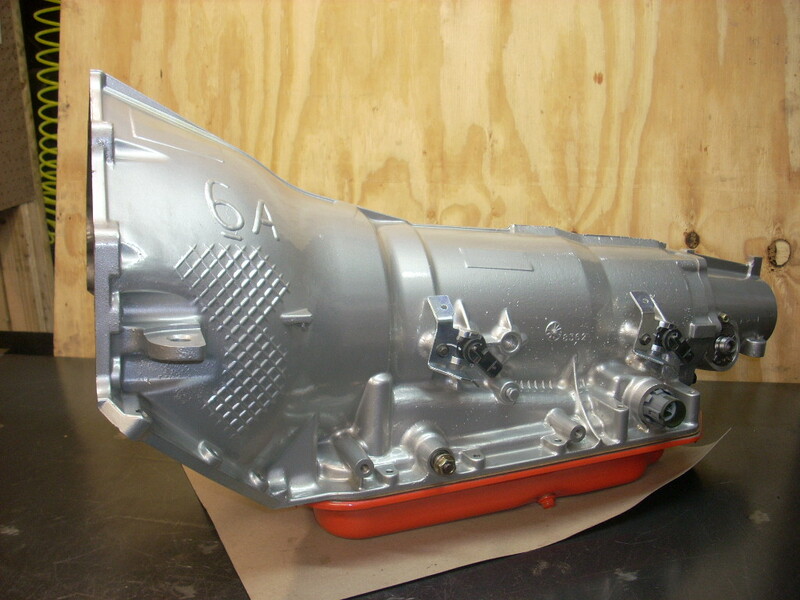 The 4L80E is the descendant of the “Ole Reliable” TH400 transmission. It shares many components and design features. At Jake’s Performance the 4L80E is our most popular transmission. We have built them for applications ranging from heavy towing vehicles to 1800+ HP street/strip cars. The 4L80E has proven reliable like it’s predecessor. Most of our development time is spent on the 4L80E. Look for some innovative new products in the near future that should make the 4L80E even stronger. As with all Jake’s Performance transmissions they start with a select core that is disassembled, the case is hot tanked, pressure washed, inspected, painted and prepped for reassembly. They include all new friction clutches, bands, steel plates, soft parts, filter, modulator (if applicable), as well as hydraulic upgrades, bearings added at several thrust locations, and other modifications depending on power level. We have established ourselves in the industry with our exclusive innovative 4L80E valve body designs whether we use our in house recalibration kit, or one of our transbrakes, you are getting what no other company in the industry has. Our valve body hydraulics have proven themselves repeatedly and our transbrakes have set the standard for release time. We specialize in building the 4L80E for retrofit applications. If you have a 500+ HP musclecar, late model LSx powered car, or other combo that demands THE bulletproof trans, we can build it for you. We have more experience than any other aftermarket shop building 4L80E’s. We have several upgrade options for the various stages of 4L80E. We offer two different transbrakes. Both designs will work in a stock depth pan. Our D1 transbrake, also known as the Manual Low transbrake, allows normal reverse operation but requires the gear selector to be in the 1st or low gear position to operate. It is a very quick acting transbrake. It works very well in full manual configuration. It has some special tuning considerations for use with a controller in an automatic shift situation. Our D3 transbrake allows for transbrake operation in any forward gear range. It requires transbrake activation for reverse. It works very well in automatic computer controlled applications because the shifter can be left in D3 and the controller shifts the transmission, instead of requiring the driver to shift from D1 after launch. All pricing includes core cost for 91-98 (Early) style cores. 99-up (late) style cores with a 7 bolt bellhousing will be an additional $300. Providing a REBUILDABLE core will reduce the posted price by $200. The Street/Strip (Stage 2) 4L80E includes all new friction materials, steels, bands, rollerized forward hub, rollerized output shaft thrust, heavy duty intermediate snap ring, 6 clutch direct pack, Hi-Energy carbon clutches in select locations, hydraulic modifications for much increased power capacity and firmer shifting. All 4L80Es also include a new boost valve assembly, new shift solenoids, manifold pressure switch, internal wiring, as applicable. 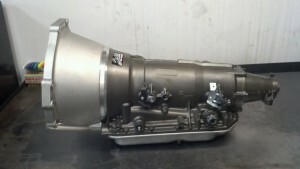 The Stage 3 4L80E build adds the billet input shaft and rollerized billet forward hub for applications above 750 HP. This build will handle well over 1000 HP assuming moderate RPM range (less than 7000 rpm), average or lighter weight vehicle, and no large N2O usage. 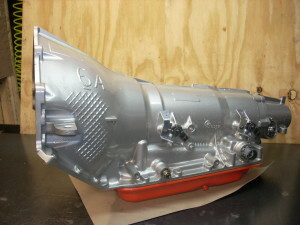 The Stage 4 4L80E adds the billet intermediate shaft. This makes it reliable to approximately 1000 HP/TQ. It will work at higher power levels if the RPM is less than 7000 RPM. Stage 4 builds are mainly for heavy vehicles, diesel, or large uses of N2O. The Stage 5 4L80E build is the Stage 4 build but adds a 36 element sprag Super Drum for increased power capacity up to and over 1400-1500 HP/TQ. One of our biggest customer demands for the 4L80E is an all in one kit to install the 4L80E into a classic Camaro, Chevelle, Corvette, Nova or other GM car. We have put together the common parts used in most of these retrofits to make it easier for the customer to do so. The Musclecar Kit will include a Stage 2 4L80E built with a mechanical speedo tailhousing for simple hookup to the existing cable speedo, a US Shift 80 Transmission Controller, Throttle Position Sensor (TPS) kit for Holley carbs, and a billet cover lockup converter. Typically this is all you need to put the 4L80E into your musclecar aside from driveline shortening and crossmember mods or fabrication. We will also offer tech support to help with the install. We have installed them in most of the early GM cars. Pricing is $5600 plus $250 shipping within the continental United States. We are also offering a freshen up program for our customers who need a repair or rebuild after the warranty period or for maintenance in high powered combo’s. This service includes all new frictions, steels, bands, shift solenoids, rebuild labor, and dyno time. It renews the warranty. It does not include the converter cut and clean, or hard parts. It is only applicable to Jake’s Performance builds and customers. The 4L80E service will be $1250, not including any parts upgrades or shipping. See our pricing table below for hard parts and upgrade costs. $1100 6 pinion heavy duty 2.75 ratio gearsets. These work well in heavy vehicles and some towing or 4×4 applications. $1800 2.10 ratio gearsets. These work well in big power drag racing combos that need to tame the launch. $550 Mechanical speedometer tailhousing kits are available WITH transmission for this price. These include the tailhousing with new bushing, seal, o-ring, speedometer gears calibrated for your combo, and driven speedo housing.